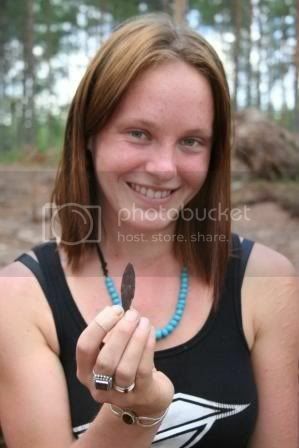 Sarah Pickin, 23, found the lump of birch bark tar — complete with neolithic tooth prints — on a dig in Finland. Ms Pickin's tutor at the University of Derby, Professor Trevor Brown, said birch bark tar contained phenols, which are antiseptic compounds. 'It is generally believed that neolithic people found that by chewing this stuff if they had gum infections it helped to treat the condition. It's particularly significant because well-defined tooth imprints were found on the gum which Sarah discovered,' he said. Ms Pickin was on a volunteer program at the Kierikki Centre on the west coast of Finland when she made the find. could they blow bubbles . . . ?